Joseph Gasperoni who goes under nickname Jtrader holds an opinion that traders look for volatility, therefore, anything that has a range, moves, and can lead to a good profit. He has been trading European markets like DAX, FTSE, and Italian stocks and covered warrants. After that, Jtrader moved to forex but quickly switched to futures since by that time he had enough capital to trade this financial instrument. He realized how important was focusing not only on the chart but also on tape and volume. 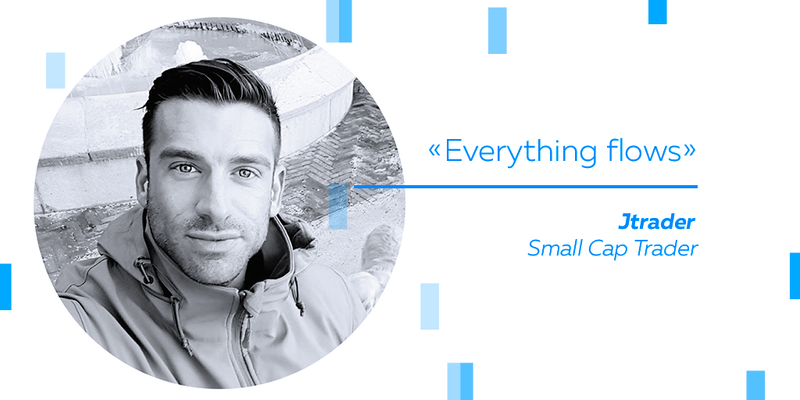 In this interview, we explore the path of a successful trader from a unique land called San Marino. Joseph, please tell your story. Absolutely. I’m based in San Marino, which is the oldest republic in the world. I’m 37 years old. I started trading when I was 19, just fresh from high school. I started trading because I was seeing everybody making money in the stock market. I grabbed some money that I saved, opened a small account on Italian equities and covered warrants, and I lost everything in about one month. That was my first lesson to start reading, studying, charting. Besides, what I suggest, based on my experience, is hours of screen sharing, because only from taping the chart you have what you need to help you take the trade. Then I started trading covered warrants, equities, and for about three years it was very volatile because it was the tech stocks time in Italy. Later, when the volatility came off, I switched to futures: FTSE, DAX. Big volume, big capital, things were going well. However, about 4 years ago, I started getting interested in US stocks because I was seeing all these news, and I was very fascinated by this. Since then, I’m trading mostly US equities. Getting deeply into my trading style, I like to read and identify the news, I’m a big tracker of news and know how they behave on the market. I also teach this to the traders in my small cap room Smash The Bid. I focus on volume and this gives me a clue regarding the forecast of continuation or fade of the gap. I’ve built a way I can know with a good insight if we’re going to push higher or lower. Do you believe that one day you could come back to futures? What lessons have you learned from futures that influenced you as a trader? Futures are moved from big news. They were the right market but not exciting as stocks, where you have constant news on companies, frauds, SEC investigations, and more. I was trading mainly ES and CL. I see macroeconomic news on that, while on stocks it’s usually partnership, merger, FB approval, phase 1,2,3, etc. However, my mom still trades futures, and we are together every day, so I’m always looking at trading with Volume Profile, Bookmap, and it’s a great tool. What is your trading strategy? How do you prepare and how do you follow up? Well, first, I read the news, I look at the scanners, I notice everything that is moving up above 10% or is gapping down 10%. Besides, I have my scanners where I can see the most traded stocks and the most volatile stocks of the last trading session. I look for something of an unusual volume. After that, I start looking at the daily resistance, supports, where the most volume was traded. Generally, I look at volume profile on the daily basis, and then I start looking at filings. If I see something that might catch my attention, I start looking how much cash is burning, what is the net working capital, if there are warrants. It is very important, as it gives me a short bias. Overall, I start trading at 8 AM New York time, do some trading, and then I start adding into my position according to my plan. I start avoiding trading after 11-11:30 AM because I find that the volatility and the volume go away at the market. Therefore, the majority of my stops happen around that time. I start trading again at 1:30-2:00 PM. I generally look for two kinds of events or the continuation of the trend I had in the morning. Besides, I look for the late trend fade, which means that sometimes, especially with small caps, I like to see low floater that go up all day long and at 1:30 they start breaking their trend. Therefore, there is a fade in the demand-supply, a fade in the volume, so they turn. The demand that was leading is now becoming a supply. Everybody is trying to get out, and their stops are helping my short to go faster, and this is how I trade. How do you explain this? Is it related to the activity hours or large traders? Absolutely. I agree with this because in the morning we usually see the retailers. Everybody is buying. Then, in the afternoon, when everybody is in, maybe there is a big player that has soaked a bunch of shares on offer and is full of shorts. I see this happening in the afternoon, so time is something very important. Many times I don’t short anything low float in the morning, but I wait to see this pattern in the afternoon, and when it happens, it is a good pattern and can give you a very good return in terms of percentage. Could you share your experience with Bookmap? Good or bad. I think Bookmap is a really good tool that gives me the extra confirmation when I want to add size to my trades. For example, I was looking at NIO, the new IPO, and I was looking that for short, so when I saw that pop to $1350, I saw Bookmap showing me that there is a big volume resistance over there. I don’t have that depth on a normal book, so MySignal was giving me confirmation. Bookmap was giving me confirmation. Altogether it creates a perfect setup. However, I think the more people have confidence in using Bookmap, the less niche I will keep for myself. Although I still like sharing the knowledge with the guys in my room. Could you tell us about SmashTheBid? You recently mentioned that the room is growing and people get inside knowledge from you and your partner. Yes, Smash and I met a year ago. I was following him on Twitter, and I saw him as a great trader around a core. This is something I got from him. He helped me to improve my trading around a core and helped me with using size. Then he started focusing on big caps because he was always small caps trader, and he also has his own way to trade options. I was trading covered warrants a long time ago, and it’s very similar to options. Overall, thanks to him, I started trading more options on Netflix, Amazon, Google, and Facebook. Generally, I like to trade small caps due to the everyday news. Every day is like a fight in this market, and we have screen sharing, a mentor program, and chat almost all day long. So we explain the process, what we are going to do, and we try to share the real knowledge with people. I mean, trying to help others make their own plan and take their own trades. I just noticed that Amazon and Google stocks plunged. Did you follow these stocks as well? If yes, could you explain why they dropped? I did not follow Amazon or Google today, but I followed Netflix which had the same trend. I like to use pivots (a technical analysis indicator used to determine the overall trend of the market) and Bookmap together, so I was looking at this big resistance that I saw at 3.65. Then, for a moment it went away, then this resistance got back there again, slammed before 3.65, went all the way down to 3.60s, popped again around 3.63, where I got the main of my position, and then plunged to 3.55 which was a wrong number for me, which is generally my catalyst when I take off some of my shares. However, I was in this trade not for any kind of news. I was in this trade only for a price action, volume tape, Bookmap confirmation, and my setup on this pop this morning, the 3.65. If you predict a price reverse, do you tend to change your position before the reverse occurs or after? Assuming that you cannot guess the exact point of the reverse. If I’m short, let’s see I see the signal that tells me to get long, I may downsize at first because it might be a false signal, and then if I see that the opposite signal is working, I cut all the trade. The thing is that when we are in a trade and we are short bias in a sense that we follow this short signal, what makes you a professional trader is changing your bias very fast. What data are you using on Bookmap? I use dxFeed. It’s very good data, and I can see not only the heat map levels, but I can have the time of sales, so everything that I need is there. Are you able to identify the intentions of large traders behind those large orders, whether they are manipulative orders or the orders with real liquidity? Yes, it’s usually very possible. For example, I was playing NMRD last week, and I remember that there was a big soaker on the ask around 3.94, so I was seeing the tape everybody buying. It was 10 AM in the morning, and everybody was long. So everybody thought this would go 5, 6, 7. I saw some setup over there with 3.90, 3.90, 3.90 always soaking the shares, and I was looking at Bookmap, and at 3.90 and 4 it was showing a huge seller. Therefore, I say I short there 3.90 with the stop 4.15-4.20, and that was beautiful. It got to 3.20-3.10 and I was there playing fake breakout, resistance, rejection, Bookmap giving confirmation, tape giving the right setup and showing me that it was a soaker. Overall, I always try to stick things together. The more things you have, the more odds you have for your share, for your trade. I also like to play two things: one is the volume divergence, and the other one is the volume imbalance that I see on Bookmap. The volume imbalance is something like that 4 level in NMRD presenting a huge selling volume with the same amount of buyers in about $2 range, so it was a 10 to 1 ratio, and that tells me that there is much more supply for the short, comparing to the demand. Last time you mentioned you were green for 40 days in a row, which is exciting. After that, you had a red day, but you don’t consider it as a failure. Could you describe these winning series, and how did you react to your losses? Did you losses continue or you turned back to green? That is a great question because consistency is the first thing a professional trader is looking for. That is why I’m always looking to have good trades, but I have red trades every day. The important thing for me is to close the day green, so the stop doesn’t have to be big for me. One red day does not have to be bigger than one or two green days, so I don’t want to be in a situation when I work 40 days with great result, and then one day wipes out everything I did in these 40 days. Therefore, trading and using stops are essential for me. Many times, I see guys on Twitter or in my room who may have 10 days green and then one day clears their account completely. They don’t want to take the loss and eventually lose even more. That is why when I face a loss, but I know that I’ve followed my plan and that I used my stops, even if I lose, I respect my plan. I was talking to my friend who is also a trader, and he told me that if you have two red days in a row, you have to change something. Something is clearly not working for you. How do you decide whether you should change or adapt your plan? What makes you think these changes will work? It all depends on the market. For example, I like to trade gap downs and this works very good on the earnings, but if I start looking at every gap down on the big caps out of the earnings season, it will be far from the result in the earnings season. Ultimately, it depends on the market condition, and we have to be able to recognize that market condition. For instance, if I see that in summer we have less small caps running, I won’t look for a long strategy on this because we won’t have the same volume as in September, October, November, and December which are the best months to long a stock. You described the situation when traders lose all their earnings in a day. Isn’t that the main reason why the beginners in trading even close their account? Yes. Happened even to me. Many times we blow up because we don’t want to be wrong, and we keep adding to our position, and sometimes we lose control over our capital and just go all in. That is not trading anymore. It is more like gambling. That is the main reason the retail trader loses. That is why I always say that once you make 20% of your account, wear out. In your opinion, is it easier to distinguish the actions and intentions of traders on small stocks or large, more liquid stocks? On small stocks. At least because seeing big volume is different on a small cap, at least for me. Maybe because I’m small cap oriented, so I like to find all possible ways that provide confirmation. I wait on both markets, big and small caps, but I prefer small caps. Is it because big players overlook low liquid stocks? Yes, that is another reason. However, it is also because you can spot better with Bookmap. I tend to look better for institutional (trader), so sometimes I see a player with 20,000 shares or 100,000 shares playing all day long on the small cap. That is what you can see very clearly on a small cap stock, while on the big cap there are many large players. Is it still possible to observe pump and dumps on small cap stock? Yes, daily, but the best pump and dumps happen on the OTC (over-the-counter) market. The pumps last several days with newsletters and everything, but nowadays many chats are doing pump and dump. That is why Smash and I opened a service totally different from this because we want to inform the real trader not to follow these alerts since these alerts sometimes are sketchy, they want to make you get that stock. We want the trader not to follow us but to learn from us and see what we are actually doing to make our money daily. Could you tell about the failures you have experienced as a trader? The last bad trade I had was on Torque. I always trade on three accounts. On Torque, I think it was two or three months ago. We had the news that was good for the company, but I was really short bias because I track every piece of news, I have a spreadsheet that has all news I have tracked, and I knew that this stock would be an all-day fading. The only thing is that I started too big too soon, and that day I remember I was down pretty big, and I was going to lose my account if I didn’t stop. I lost half of my account; fortunately, it was not a big account. Overall, it happened because I was too cocky wanting to make more money, so always be humble with the market because even if you are very good you still can lose everything in one second. You have to remember that the market is always right, and we are always wrong. What about some funny stories you have encountered in your trading experience? 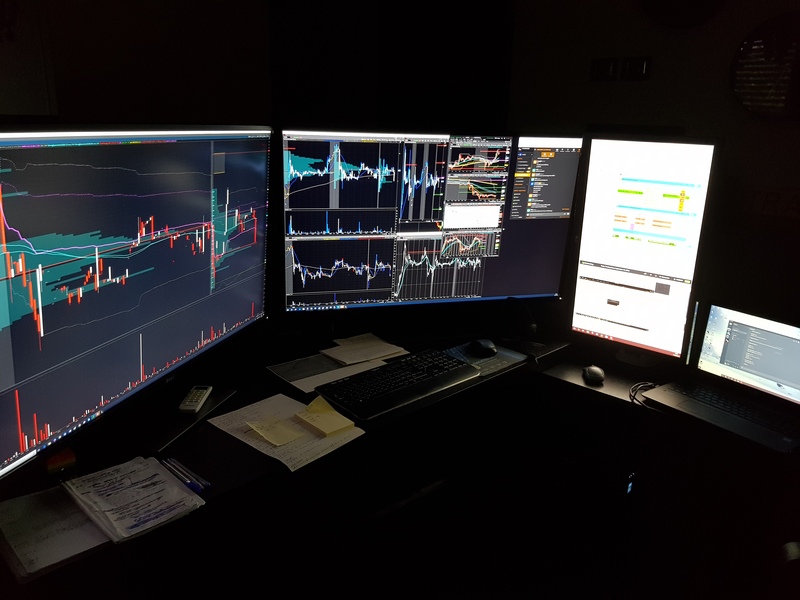 I trade in my room, but I also have a small group, which I’m a part of, and they are all professional traders, and the funny story is that sometimes we trade the same ticker and maybe have the same idea, everybody, and that is a moment of fun. It’s a very funny moment when you have five minds having the same conviction, and you are making the right decision at that moment to follow the market, that’s fun for me. Besides, I’m Italian, I love pizza, so when I say I’m going to the pizzeria right now, everybody knows I made a good trade. You also lived in the US, right? Yes, I have double citizenship. I’m half American, my mother is from New York, and my dad is from Detroit, but he is Italian. I was born here in San Marino. How much time have you spent in the US? Did you like it? I haven’t spent much time in the US. The majority of my life I lived here in San Marino, but I like American mentality for the fact that you have that slogan “self-made man.” In the place I live right now, there are many compromises, and in America, if you have the real power and you want to work, you will probably succeed. In Europe, I think we are very much behind that kind of mentality. However, you still live in San Marino because you love it and it’s your home, right? It was good before because it was an offshore country, but it’s not that anymore. Overall, it has its pros and cons. My mom used to live in New York, I have my family in New York, but it’s very dangerous. You have to know where you are going. 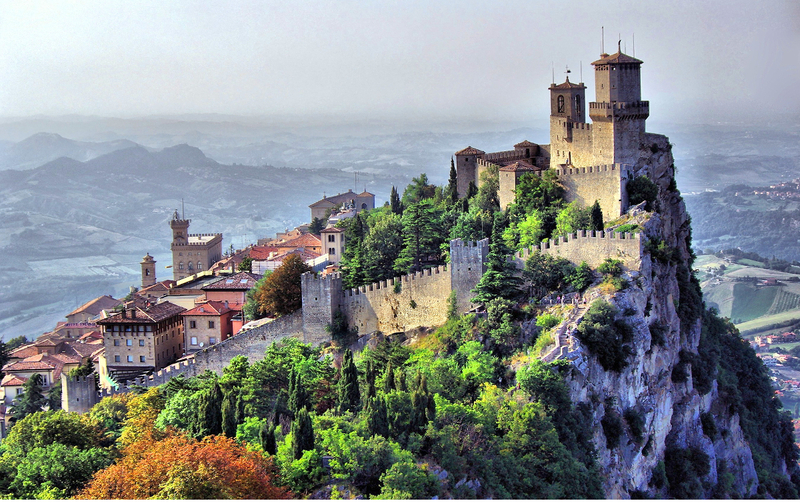 In San Marino, we have very low crime rate compared to Italy, so it’s a good place to live in. Have you ever considered starting your own firm? I think it will be the next step. If I’m able to do that, it will be great. However, I need to work some years to have that buying power to do something like that. Could you give our audience a few pieces of advice based on your experience? Yes. Don’t oversize when you don’t have an A+ setup, don’t start too big too early, be humble, and reset your mind every day. Even after a big loss, don’t think about it. Reset your mind and just play your setups, analyze your market. Be very patient and analytical. The fewer emotions we have on the market, the more we profit. The biggest lesson I learned: you never finish to improve yourself. It’s not a normal job, you learn it once and you don’t get out of that path. “Panta rhei” — Greeks used to say meaning that everything flows and changes so does the market. This is part of the Trading Depth project, a series of inspiring interviews with successful traders. For more interviews with traders follow our Twitter and Facebook.